Reprint. This translation originally published: 2014. Marie Kondo will help you declutter your life with her new major Netflix series Organise the World with Marie Kondo. This is a beautiful hardback edition of Marie Kondo's classic book. Transform your home into a permanently clear and clutter-free space with the incredible KonMari Method. You can also find the courage to move on from the negative aspects of your life. For example, you can recognise and finish a bad relationship, stop feeling anxious or finally lose weight. Marie Kondo's method is based on a 'once-cleaned, never-messy-again' approach. 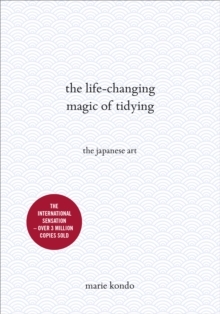 Alternatively, if you want to share The Life-Changing Magic of Tidying with your friends and family this lovely edition is the perfect gift.